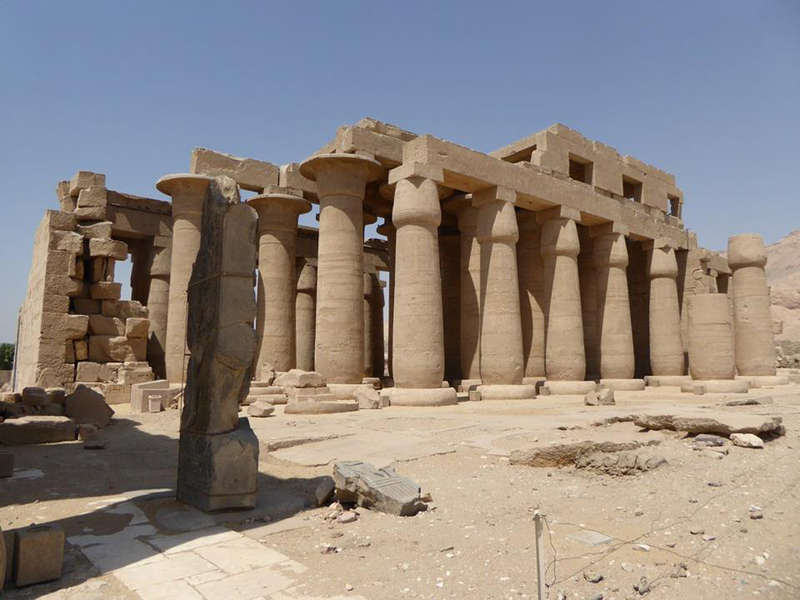 Full day Luxor city tour from your hotel in Luxor city or from Luxor airport. 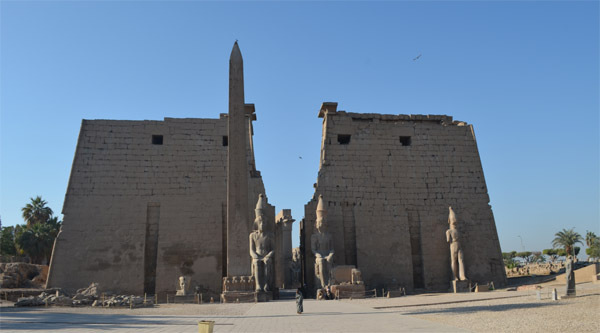 07:00 am Pick up from your Luxor hotel or Luxor airport. 07:30 am Visit to Memnon Colossus. 08:00 am Queen Hatshepsut temple. 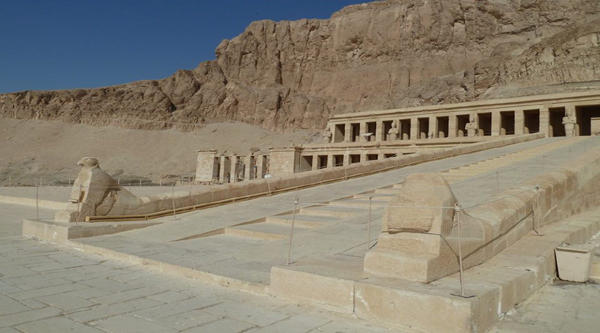 09:00 am The Valley of the Kings: visit 3 different tombs opened to public on the day. 11:00 pm Optional visit to King Tutankhamon real or fake tomb is available. 12:00 pm Lunch in a local restaurant. 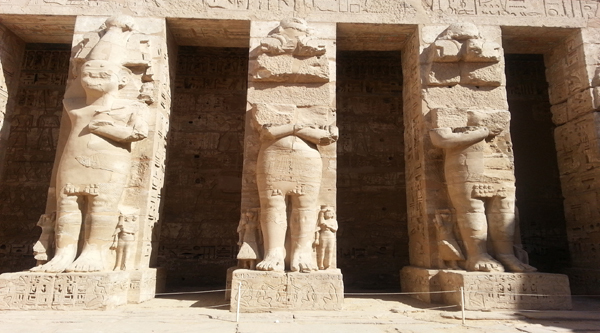 13:00 pm Visit to huge Karnak temples. 16:00 pm Optional feluca ride to Banana island is available. 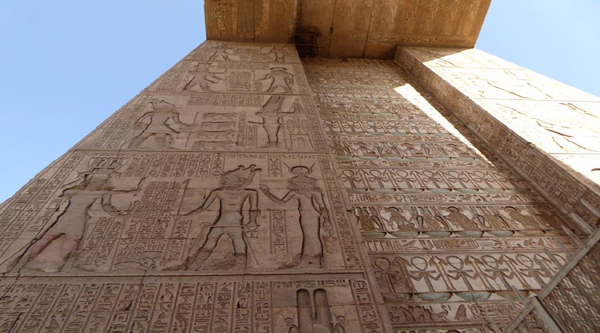 Entrance fees to Valley of the Kings, Hatshepsut temple, Memnon Statues and Karnak tempe. 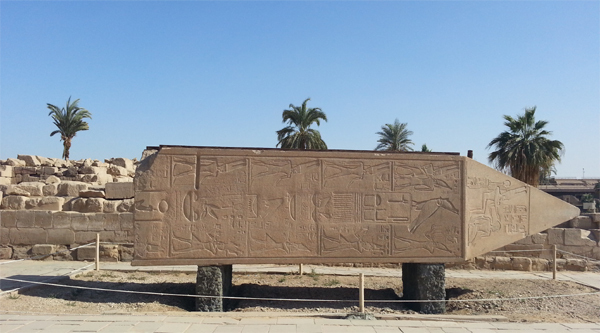 We will pick up you from any meeting point in Luxor by a private a/c van to start your day of discoveries. 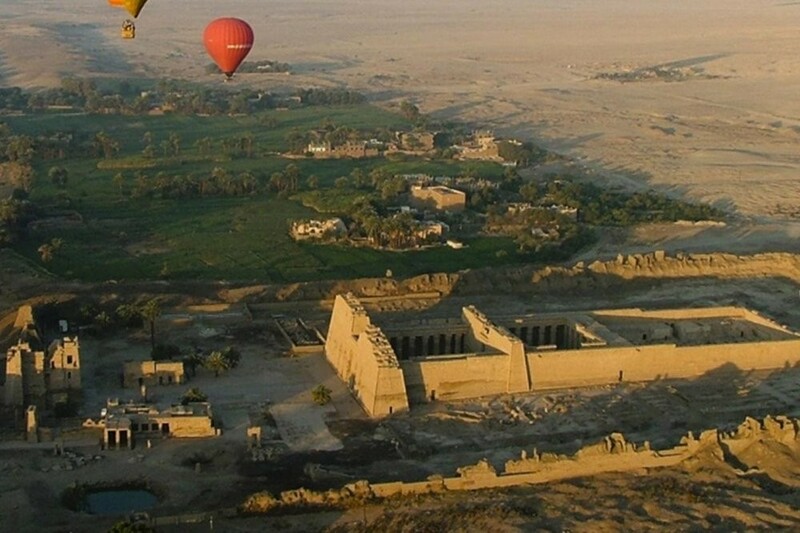 Valley of the Kings is the ancient cemetery of the pharaohs of the New Kingdom and is hidden in the mountains on the West Bank of Luxor, between the two limestone hills of Gurna. It was named by Francois Champollion as Valley of the Kings. All of the tombs were robbed in antiquity, except for the tomb of the boy king, Tutankhamun which was found completely intact in 1922 by Howard Carter. 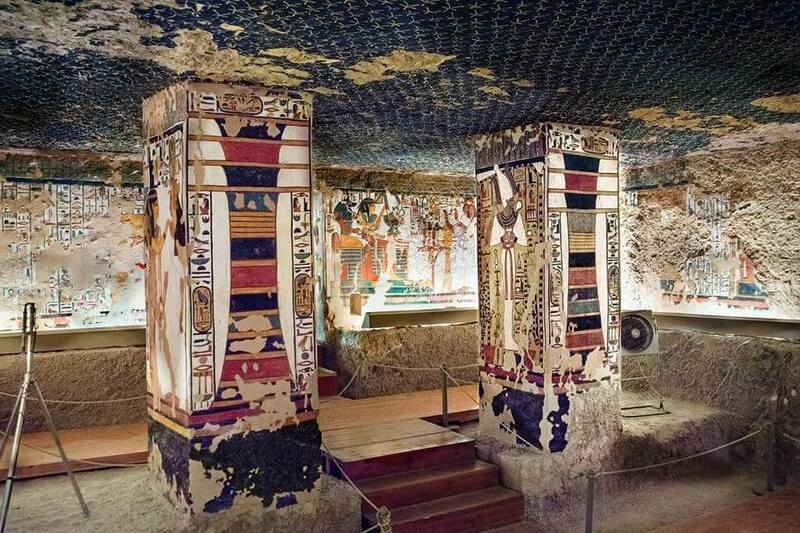 The Valley of the Kings holds 63 registered tombs and recently 2 more tombs have been found. 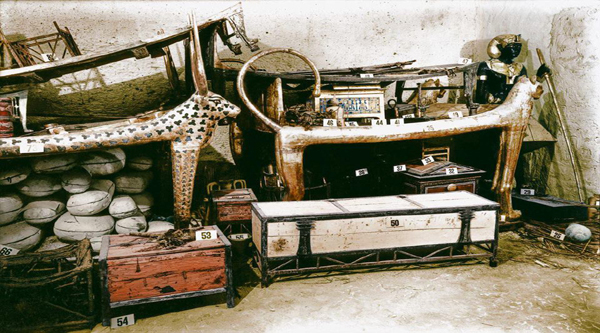 Your visit includes entry into 3 tombs, however if you wish to see either the tomb of Tutankhamen. or Ramses VI, there is an additional ticket cost. At the end of the day transfer to Luxor airport or hotel . Our guide in Luxor met us at the reception of our Luxor hotel and introduced himself as John, we went straight to the minibus so start the tour. 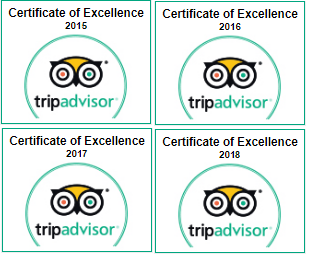 Security and safety were paramount to John along with ensuring that we had a very good day. We went to the Collossi of Memnon, where John explained about the statues in very precise and easy to understand details. We were then taken to Hapshepsut Temple where John explained how and why it was built, also showing us the art works, carvings and the cartouche, we were allowed to look around to take our own photo's and agreed to meet back at the entrance after approx 1 hour, we had plenty of time to explore. We were then taken to lunch at a traditional egyptian restaurant in Luxor on a back street, the food was excellent. 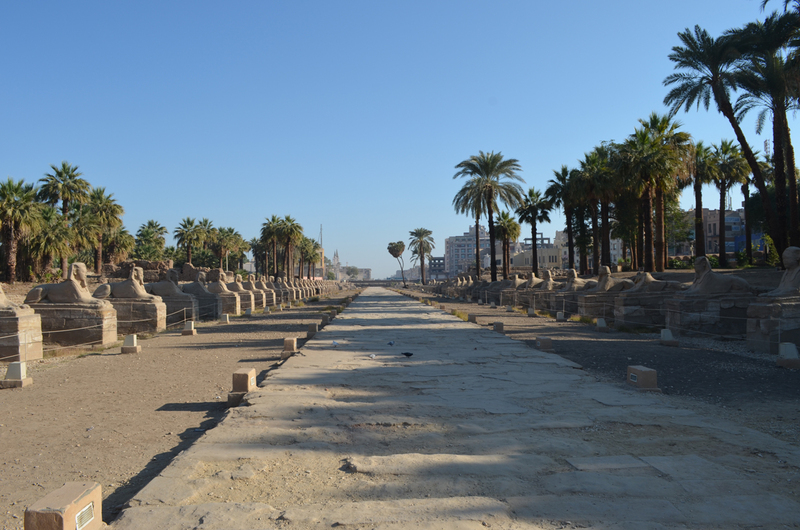 After lunch we were taken to the Karnak Temple Complex where John showed us around explaining how it was used and build, how the obelisk were used etc, once again we were allowed to explore and meet back at the entrance, at no stage did i feel unsafe. Once meting back we then went on a boat trip to Banana Island where we had fresh dates, Bananas, Oranges and Guava all grown on the island, we then left and had a leisurely cruise down the Nile back to Luxor where we walked around the Luxor temple, followed by a walk into the Market, what an eye opener seeing the fresh produce and the Egyptians buying their provisions. We were then taken back to our hotel and John Thanked us for an enjoyable day.